DroidLock is an all-in-one Mobile Device Management Solution used to manage Android corporate-owned mobile devices, tablets, kiosks, and more! DroidLock works on any Android device with Android 4.4 or higher. 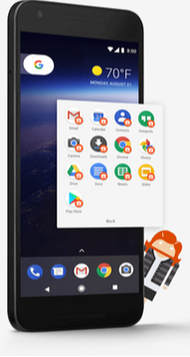 With Android For Work integration, DroidLock enables organizations and administrators to deploy an extensive range of security and usage policies over company-owned devices. ​Kiosk or Single App mode allows you to lock any device into a single application! This allows you to deploy COSU (Corporate-owned, single-use) devices for customers or employees. Even when the device is rebooted, it boots back into the specified application. Decide what applications users can and cannot use. Provision and remotely distribute apps straight from the Google Play Store via the DroidLock dashboard! Silently push updates and new applications to devices. ​DroidLock also offers device administrators to manage Application Permissions remotely. As well as a way to distribute and publish internal applications to any device in your account! Password Enforcement, to ensure that data stored on company-owned devices is secured. Remote Lock, to lock devices in case of a security incident or misplaced device. Remote Wipe, remotely wipe data from devices. Security Incident Monitoring, monitor for such things as SIM swaps, and unsuccessful attempts to exit DroidLock.